Mortgage Broker: A transparent* educator working for the consumer versus one retail lender, with independence allowing for wholesale lender competition and choice. trans·par·ent – having thoughts, feelings, or motives that are easily perceived. The ability to see-through. If a Mortgage Loan Originator (MLO) is independent, they have the ability to represent the consumer (their client) which is only possible through a true Mortgage Brokerage (employer). Independence removes conflict. Mortgage Banker: An ambiguous* sales person working for and representing one retail lender, rather than the consumer. am·big·u·ous– unclear or inexact because a choice between alternatives has not been made. 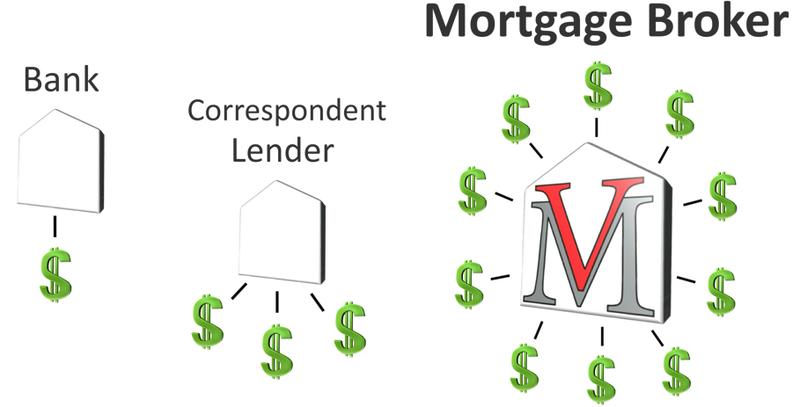 If a Mortgage Loan Originator (MLO) is employed by a lender, they are unable to represent the consumer (their client) as captive to the lender (employer). This produces a conflict of interest. 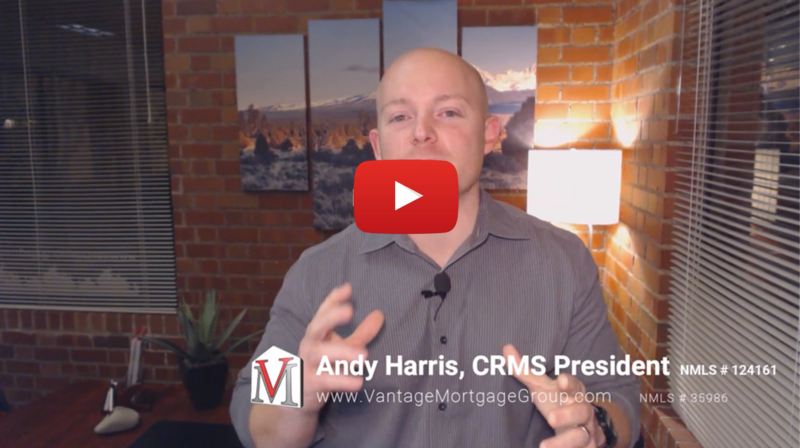 Question: How does the Mortgage Loan Originator I choose impact the RATES, FEES, and the overall EXPERIENCE I will have as a consumer looking to buy or refinance a home? Mortgage BROKERS independently work for you, embracing a solid foundation based on lender competition and choice. Mortgage BANKERS dependently work for one retail lender, making the foundation weak as special interests eliminate competition and choice. Bankrate published an article in 2015 around the topic of Mortgage Broker versus Banker and which one is better for the consumer. After hearing from both sides, readers were asked to choose which they would prefer if they were in the market to buy or refinance a home. The reader poll results were heavily in favor of the Mortgage Broker. Over 90% of readers said they would choose a Mortgage Broker over a Mortgage Banker. What makes this study interesting is that approximately 10% of providers in Oregon and Washington are “True” Mortgage Brokers, leaving the other 90% Mortgage Bankers. This means that consumers must carefully research and ensure that they are talking also with a Mortgage Broker when shopping for a new mortgage and seeking pre-approval. Chances are they might be talking with a Mortgage Banker inaccurately using the broker term. 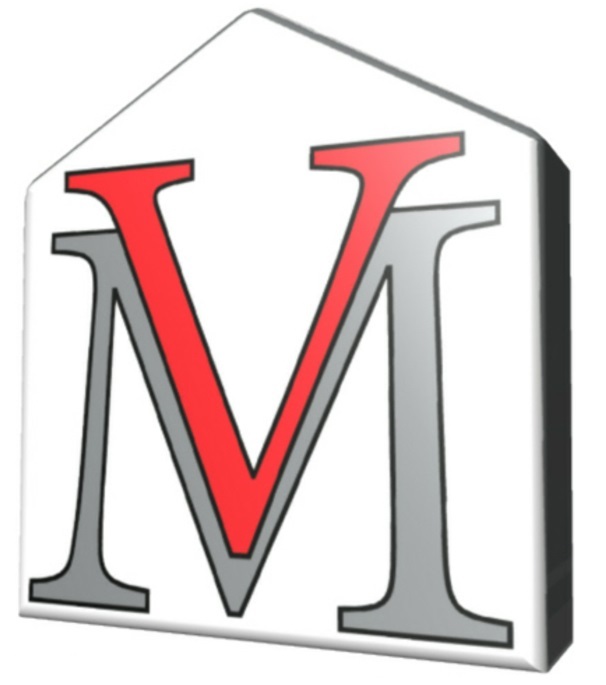 At Vantage, we are your “True” Mortgage Brokers. We support lender competition and see the industry from a macro view versus a micro view Mortgage Bankers are required to comply with inside their company. We believe the restricted view provided by the banker, such as in this article, are disconnected and false from industry fact. We will continue to support the wholesale lending channel and ensure consumers are educated rather than being sold by lenders employees. According to a survey by the Consumer Financial Protection Bureau, nearly half of all home buyers only considered one lender for their mortgage. Comparing your options with multiple lenders could mean lower interest rates and payments saving you thousands of dollars throughout the life of your loan. Vantage offers exclusive client representation and compares pricing and execution from over 30 different lenders competing for your business. 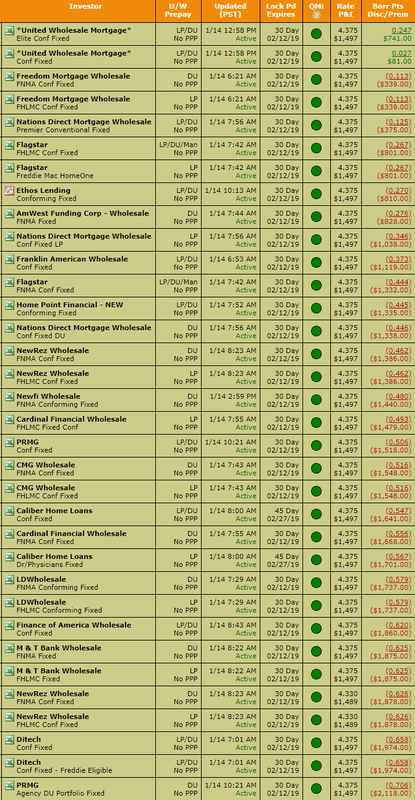 Our internal pricing engine compares the top wholesale lenders in the country in real-time (example below). This customized analysis allows our independence and experience to expose the most favorable loan terms and speed. If a loan originator is employed by only one lender (as most are), they lack the competition necessary to access these benefits for their clients and must steer toward special interests. Once investor is determined, the comparison on note rate options and corresponding cost/credits are available to our clients from a no cost loan to rate buy-down and everything in-between. *This is not a rate quote and for informational purposes only. APR subject to note rate and pre-paid finance cost determination. Usually a depository in some fashion with other products and services. Typically only one or very few lending source or limited options which may result in higher rates and fees due to operational costs/lack of comparison. Loan Officers may not be required to take entry-level or continuing education. Loan Officer represents the bank rather than the consumer. Usually only offers mortgage services, non-depository. Focus on using lines of credit over brokering for margins, even if more favorable terms are available. Rates and fees can be higher due to operational costs. Loan Officers must take entry-level and continuing education and many have more experience than a bank. Might use the controversial sales terms “mortgage banker” when in reality a “non-bank” or “direct lender” when actually an “in-direct” lender. Multiple wholesale lenders and programs – full brokerage only. Works and shops exclusively for the consumer without priority to any lender or pass-through line of credit. Loan Officers must take entry-level and continuing education. Most advanced platform, requiring a high level of experience. With controlled costs, we believe this is the most favorable channel for consumers on pricing and programs. Deliver lower mortgage costs and a faster origination experience by working for YOU rather than the lenders, using a transparent and systematic approach to making lenders compete for YOUR business. 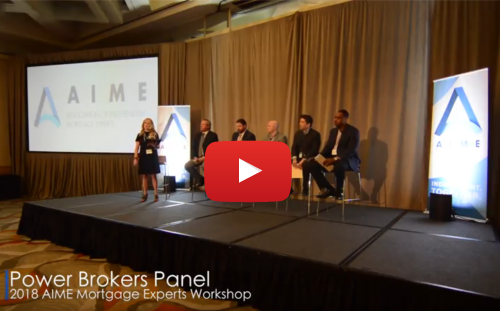 “Our main objective is to educate consumers on how residential mortgage financing works in the United States. We do not have sales people, we have mortgage professionals that persistently educate our clients. We embrace only math and facts rather than sales terms and strategies. We rely on indisputable data to attract those that wish to be in a better financial position with their mortgage liability. When it comes to math, combined with our reputation, our position is also indisputable. We are the only channel in the primary mortgage market that works exclusively for our clients. The more educated the consumer, the greater chance they will become a Vantage client when comparing mortgage providers. No special interests. We work exclusively for YOU and carry no influence from business affiliations or steering toward bank or bank line priorities (which most lenders do when their originators lack independence). Full disclosure. We expose any premiums received in the interest rate to apply as a credit to reduce closing costs and settlement charges. The ability to compare. We compare the rates, costs, and programs of the very best wholesale lenders to allow competition to produce the most favorable terms and speed. Service. Our heightened focus on communication and paperless processing system allows us to expedite your loan application for a smooth and more enjoyable experience. Pricing. Our low overhead and flexibility for choice and comparison allows us to provide very competitive pricing many feel is unmatched with our level of experience included. 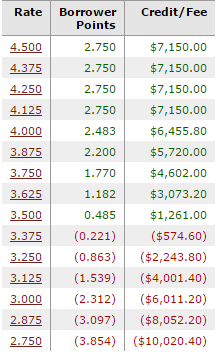 Market Watch. Our Loan Consultants have a very close grasp on the mortgage-backed securities market to provide rate lock suggestion in this volatile bond market which can save $. Your Loan Consultant is local, licensed under the Nationwide Mortgage Licensing System (NMLS), and complies with the Safe Act for entry-level and continuing education, including fingerprinting and background check. Reputation and experience. Our reputation and respect in the marketplace has been earned by our ability to exceed expectations and always do the right thing. We’re happy to be one of the highest customer-rated firms in the Pacific NW. “A+” rating with the BBB and several National awards for our accomplishments and integrity in the primary residential mortgage market. Serving our local community. Vantage Mortgage Group is owned and operated locally in the Pacific NW – supporting our neighbors and local small business. These are just a few of reasons why many choose Vantage Mortgage Group for their home purchase or refinance needs. See what they are saying. CONTACT ONE OF OUR LOAN CONSULTANTS TODAY! We consistently strive to offer consumers the best possible mortgage experience by using a transparent and systematic approach that makes lenders compete for your business. The more educated the consumer, the greater chance they will become a Vantage client when comparing mortgage providers. Don’t just take our word for it, here are some reviews that our past customers have left!